Just a quick note to tell you all about a great blog called Craft Buds: Growing Your Handmade Business! Lindsay has some really informative posts about lots of topics to help you be successful with a homemade business. If you haven't stumbled upon her site before, you should go check it out. For the month of September, she is going to be hosting Craft Book Month, an event to celebrate all things craft books! She's got excellent guests lined up (publishers & authors, including me to talk about my upcoming book, Sew Serendipity Bags at the end of September), weekly giveaways, book reviews, and more. As part of the month-long celebration, she is also hosting a linky party with additional giveaways. This event will answer some questions for aspiring craft book authors---and inspire everyone to use those pretty books sitting on their shelves to make projects. I'll be back soon to give you a sneak peek of the fall collection. Gotta get into the studio and finish up some sewing...photography session is this weekend! Then on to finalizing pattern pieces and writing instructions....fun!! 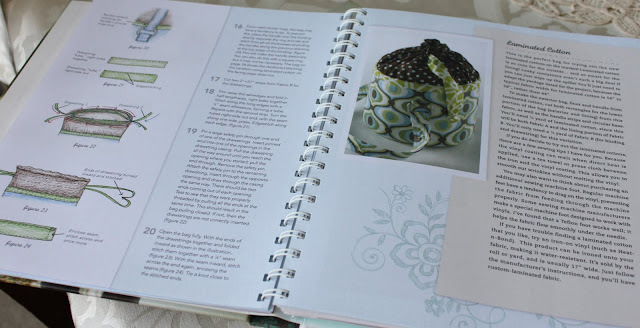 Don't forget to leave a comment for the giveaway of Nancy Zieman's new book on the last post if you have not already done so. You have until Sept. 9th at midnight (CDT) to enter! 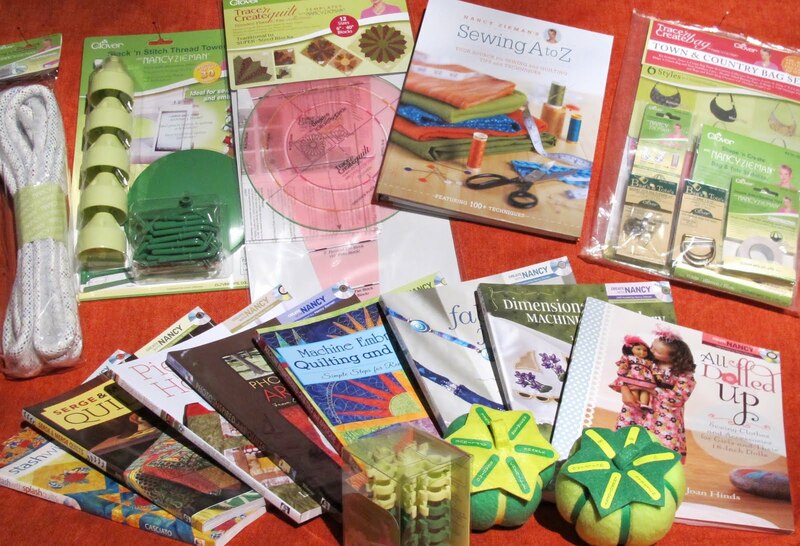 Nancy Zieman Sewing A to Z Blog Tour and a Giveaway! 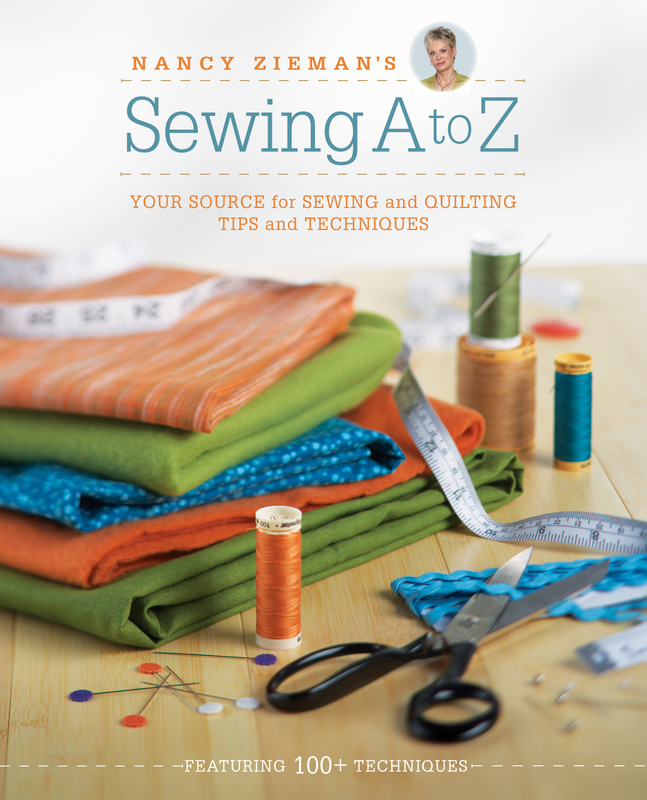 It is my turn to host the tour for Nancy Zieman's new book, Sewing A to Z. Nancy has really outdone herself this time by addressing just about anything you have ever had a question about regarding sewing! Seriously, this book is an amazing resource for all kinds of techniques that we tend to forget how to do after a while...or maybe I am just speaking for myself here. I never can remember how to miter the binding on a quilt....oh wait, I know why, it is because I hardly ever do that being a "poser" quilter! (By "poser", I mean that I really don't have the attention span or accurate enough 1/4" seams to get through a large quilting project.....just sayin'!) Never fear, Nancy has covered how to add that pesky binding and how to make it look professional. That is probably my favorite thing about Nancy...she is a sewing professional in every sense of the word. I love her clever techniques. They save you time and the result is always perfect. 1. Darts: I have been making darts in clothing for years, but it never occurred to me to do the clever thing that Nancy does to keep the line from the point to the edge of the fabric perfectly angled...she uses a piece of thread as a guide....now that is ingenious! I always "eyeball" it and most of the time it works, but this thread technique works EVERY time! Thanks for that one, Nancy! 2. Easing: There are a couple of places that Nancy addresses easing seams together. This is such an important technique to master, especially when making clothing. There are a lot of times where a seam will need this type of treatment, such as for sewing princess seams or adding a set-in style sleeve. Nancy gives you at least three different techniques to try. I love that she tells you that you might need to practice a little bit to get the technique just right. It does take some practice with easing before you are comfortable, and Nancy puts you right at ease. The book is arranged as you would think. Since it is literally sewing A to Z, the techniques are alphabetized. This is great because it is like the book is already indexed! Have a question about zippers? Go to the "Z" section. Want to know about facings? Go to "F". Super easy and very well illustrated. Nancy is right there also with helpful tips throughout putting you at ease, which she does so effortlessly. Be sure to go to Nancy's post, as she has a HUGE giveaway of goodies and you have to visit there to leave a comment in order to be entered. I am also hosting a giveaway here, so be sure to leave a comment if you would like to win a copy of this wonderful resource book. I guarantee you will love it! It is destined to be your go-to book whenever you have a sewing question. The giveaway here starts now and a winner will be announced on September 10. Please submit only one comment to enter. Here is the full tour, so be sure to check out everyone's review. There are some great ideas, tips, and even a video or two along the way. Back to School and Sneak Peek! OK....I admit, it has been a while! We have had such a busy summer around here! A bit of this and a bit of that have kept me from blogging much. It has been unbelievably hot here in Texas and we have worked hard to keep everything alive and ourselves cool. I know that many of you can relate! I am working on new fall stuff for market (stuff you are going to LOVE)....the Sew Fresh group over at Cabbage Rose got to see a little bit, but I have been a busy girl since then and have yet another design worked out. There will be a new Fashion Formula Skirts booklet (part 2), a new dress, and a new jacket, finally. They are great and I can't wait to get the photography done so that I can share with all of you! I do want to let you know about a great "Back to School" series over at Sew Sweetness. Sara graciously asked if I would like to contribute and I agreed to do one of the posts. Mine will be up on the 25th (that's this Thursday) and I will be talking about the importance of adding facings to your clothing projects. I hope you will hop on over and read all about it. There are many other great posts going on, as the series started a week ago. I have a button on the right hand column here for you to go straight to the series, or you can click on the hyperlink above too. I hope you all find valuable information and inspiration there! 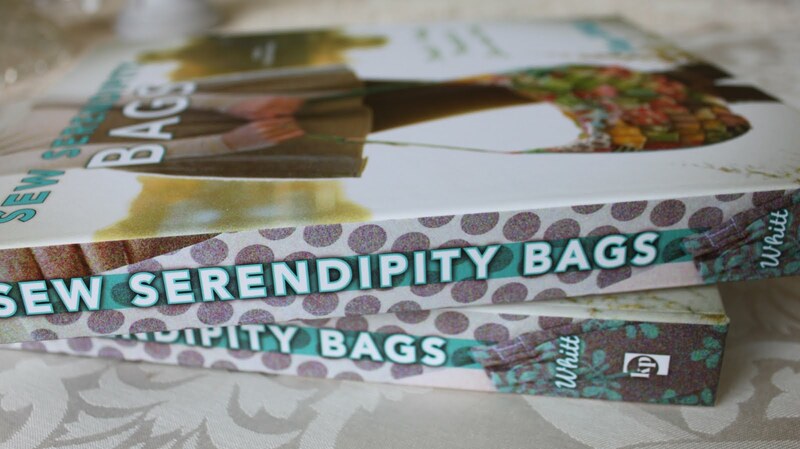 Now for the sneak peek.....my advance copies of Sew Serendipity Bags got here today!! Yipee!! It will be another month before the book will be in your hot little hands, as they are all on a literal slow boat from China at the moment (no kidding)! We expect the books to be in-house at the end of September and will be adding a pre-sale option around the first to middle of September. We will send out a little note as soon as we have that available for you. I am just so thrilled with the book. It is a perfect "sister" book to Sew Serendipity. 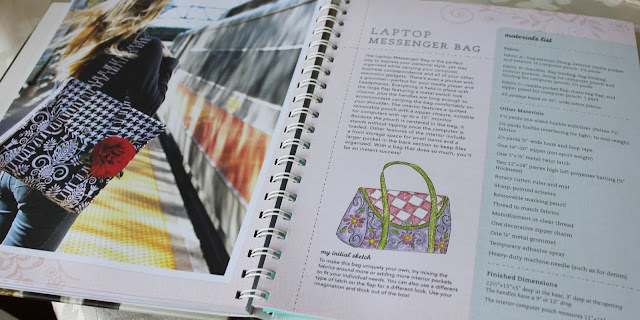 You can expect great techniques that I personally use, invaluable resources, the same wonderful hand drawn illustrations and lots of fun bag designs to play with.